Doctor Who: BBC New Series Adventures - The Clockwise Man | Warped Factor - Words in the Key of Geek. 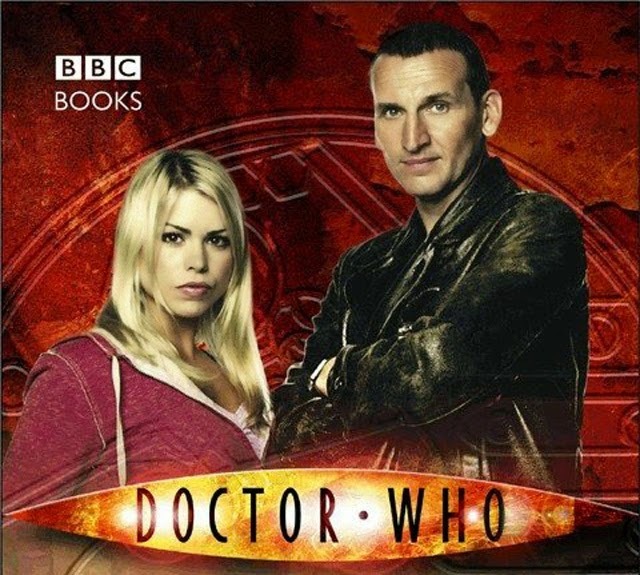 Settle down in our TARDIS library as we follow up The Beast Of Babylon with the first of the Ninth Doctor's six New Series Adventures! And if you enjoyed his Twelfth incarnation's début up against the Half-Faced Man in Deep Breath, you'll find plenty to like about this first literary outing for the man he was four selves ago. Having planned on taking Rose (who you'll recall he goes back for on Ali's advice after that trip to Babylon, in The Beast of Babylon) to 1924 for the British Empire Exhibition, he & his newest companion are forced into something of a detour. Just who is the Clockwise Man? They're about to find out. The Doctor instinctively knows someone is in trouble & goes to help. Taking Peter Dickson back to the home of Sir George Harding, for whom he is employed as a butler, the ante is upped considerably. There are oil stains on his pristine white gloves, & the marks on his neck can only have been made by metal. Sir George & his lady wife Anna are hosting a dinner party this evening, & whoever attacked the manservant wanted to know more about the gathering. So far, so Poirot. If you're willing to run with the idea of a detective with a Mancunian burr & leather jacket having gatecrashed a high-society gathering, anyway! There are to be further guests- Colonel Oblonsky, Count Alexander Koznyshev & his wife Nadia, Major Aske, Repple, Lord Chitterington & the Painted Lady. She'll take a particular interest in the Doctor, for she's the architect of the Clockwise Man & a few other robot surprises for the Time Lord! One night came the noise of rioting and the sharp staccato of machine guns apparently approaching nearer and nearer the palace. It was about eleven o'clock and the Empress was sitting for a few minutes' rest on the edge of my bed. Gating up hastily and wrapping herself in a white shawl, she beckoned Marie, the last of the children on her feet, and went out of the palace into the icy air to face whatever threatened. The Naval Guard and the Konvoi Cossacks still remained on duty, although even then they were preparing to desert. It is altogether possible that they would have gone over to the rioters that night had it not been for the unexpected appearance of the Empress and her daughter. From one guard to another they passed, the stately woman and the courageous young girl, undaunted both in the face of deadly danger, speaking words of encouragement, and most of all of simple faith and confidence. This alone held the men at their posts during that dreadful night and prevented the rioters from attacking the palace. The next day the guards disappeared. The Naval Guards, led by Grand Duke Cyril Vladimirovich, marched with red flags to the Duma and presented themselves to Rodzianko as joyful revolutionists. The very men who in the previous midnight had hailed the Empress with the traditional greeting, "Uravie Jelaim Vashie Imperatorskoe Velichesmo!" Health and long life to your Majesty ! So loud had been their greeting that the Empress, not wishing me to know that she had left the palace, sent a servant to tell me that the Guards were waiting to meet the Emperor. There was now in or about the palace practically no one to defend the Imperial Family in case the mob decided to attack. Still the Empress remained calm, saying only that she hoped no blood would have to be shed in their defense. A telegram from the Emperor revealed that the crisis had become known to him, for he implored the Empress to join him with the children at headquarters. At the same hour came an astound. ing message to the Empress from Rodzianko, now head of the Provisional Government, notifying her that she and her whole family must vacate the palace at once. Her answer to both messages was that she could not leave because all five of the children were dangerously ill. Rodzianko's reply to this appeal of an anguished mother was: "When the house is on fire it is time for everything to be thrown out." Desperately the Empress consulted doctors and nurses. Could the children possibly be moved? Could Anna? What was to be done in case the Provisional Government proved altogether pitiless? Into this soul-racking dilemma of the mother came to the wife of the Emperor the terrible news of his abdication. I could not be with her in that hour of woe, nor did I even see her until the following morning. It was my parents who broke the news to me, almost too ill and too cloudy of mind to comprehend it. Mme. Dehn, who was with the Empress on the evening when Grand Duke Paul arrived with the fatal tidings, has described the scene when the brokenhearted Empress left the Grand Duke and returned to her own room. In that hour of supreme agony there was not a word spoken of the loss of a throne. Alexandra Feodorovna's whole heart was with her husband, her sole fears that he might be in danger and that their boy might be taken from them. At once she began to send frantic telegrams to the Emperor begging him to come home as soon as possible. With the refinement of cruelty which marked the whole conduct of the Provisional Government in those days these telegrams were returned to the Empress marked in blue pencil: "Address of person mentioned unknown. "Not even this insolence nor all her fears broke the sublime courage of the Empress. When next morning she entered my sickroom and saw by my tear-drenched face that I knew what had happened her only visible ,emotion was a slight irritation that other lips than her own had brought me the news. "They should have known that I preferred to tell you myself," she said. It was only when gone her rounds of the palace and was alone in her own bedroom that she finally gave way to her grief. "Mama cried terribly," little Grand Duchess Marie told me. "I cried too, but not more than I could help, for poor Mama's sake." Never in my life, I am certain, shall I behold such proud fortitude as was shown all through those days of wreck and disaster by the Empress and her children. Not one single word of bitterness or resentment passed their lips. "You know, Anya," said the Empress gently, "all is finished for our Russia. But we must not blame the people or the soldiers for what has happened." Too well we knew on whose shoulders the burden of responsibility really rested. By this time Olga and Alexei were decidedly better, but Tatiana and Anastasia were still very ill and Marie was in the first serious stage of the disease. The Empress in her hospital uniform moved tirelessly from one bed to another. Perceiving that from my floor of the palace practically every servant had fled, even my nurses and my once devoted Jouk having yielded to the general panic, she found people to move my bed upstairs to the old nursery of the Emperor. We were now almost alone in the palace. My father's resignation having been demanded and of course given, my parents were detained in St. Petersburg. Days passed and still no word came from the Emperor. The Empress's endurance had almost reached its breaking point when there came to the palace a young woman, the wife of an obscure officer, who threw herself at the feet of the Empress and begged to be allowed the dangerous task of getting a letter through to the Emperor. Gratefully indeed did the Empress accept the offer, and within an hour the brave woman was on her way to Mogilov. How she managed to reach headquarters, how she passed the cordon of soldiers and finally succeeded in delivering to the captive Emperor his wife's letter we never knew, but all honor to this heroic woman, she did it. 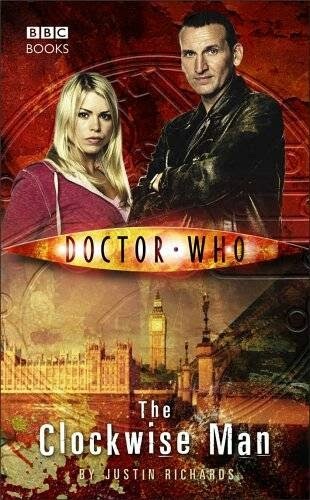 Happily the Doctor is on hand to stop such happening here, and having done so he & Rose must face The Monsters Inside!